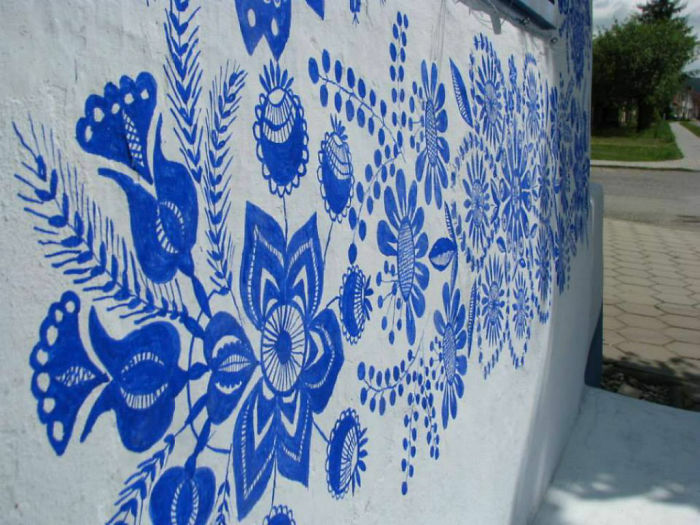 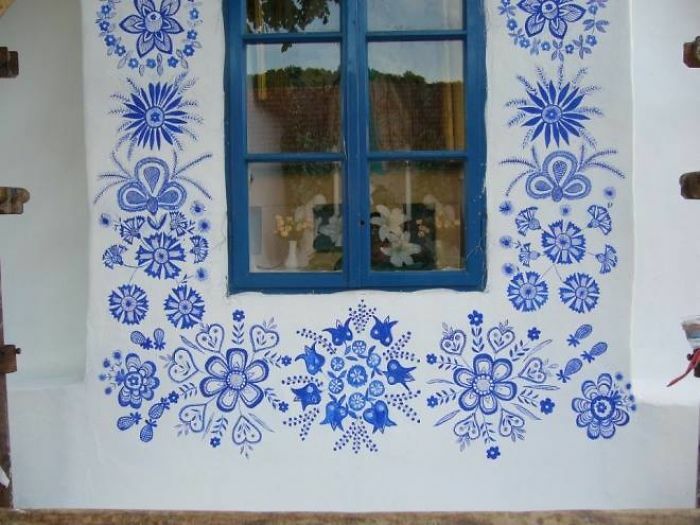 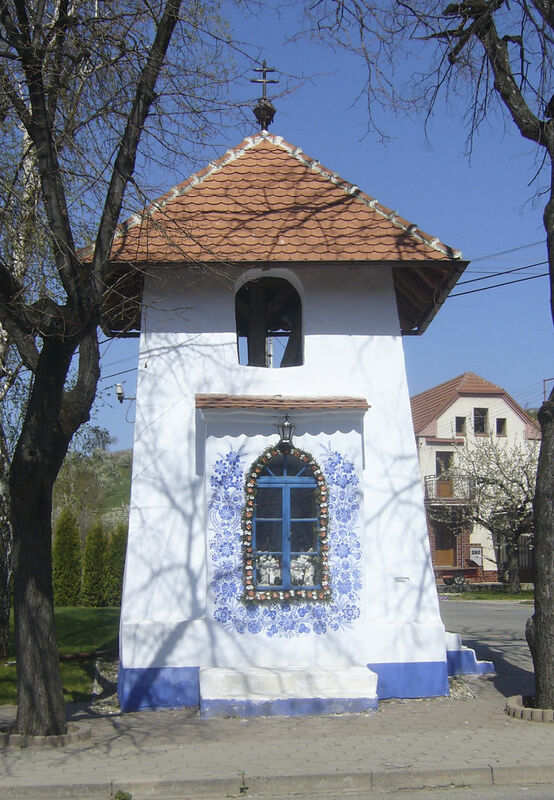 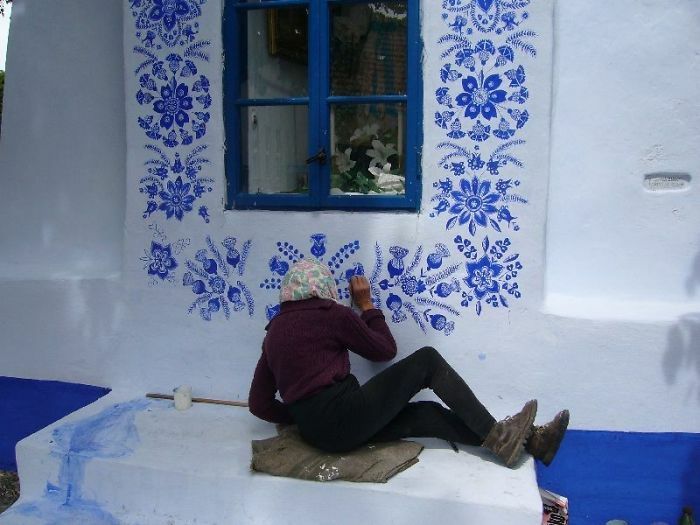 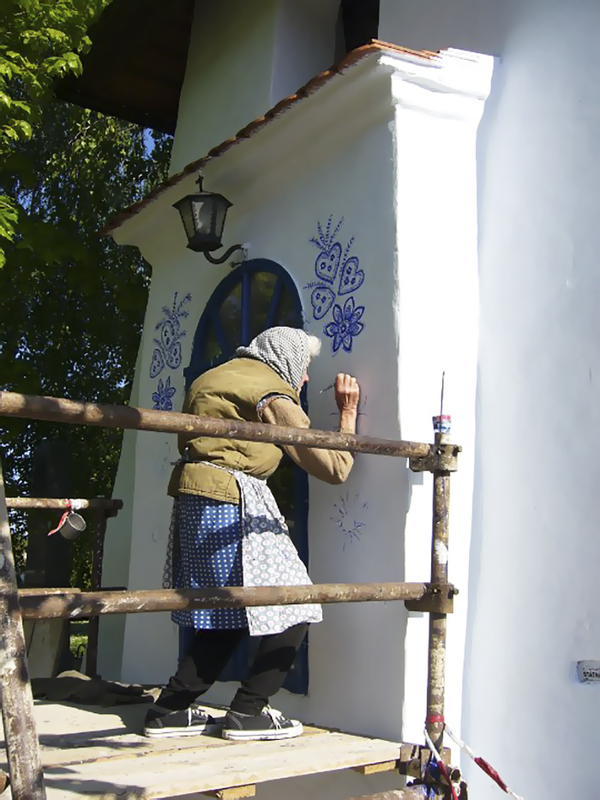 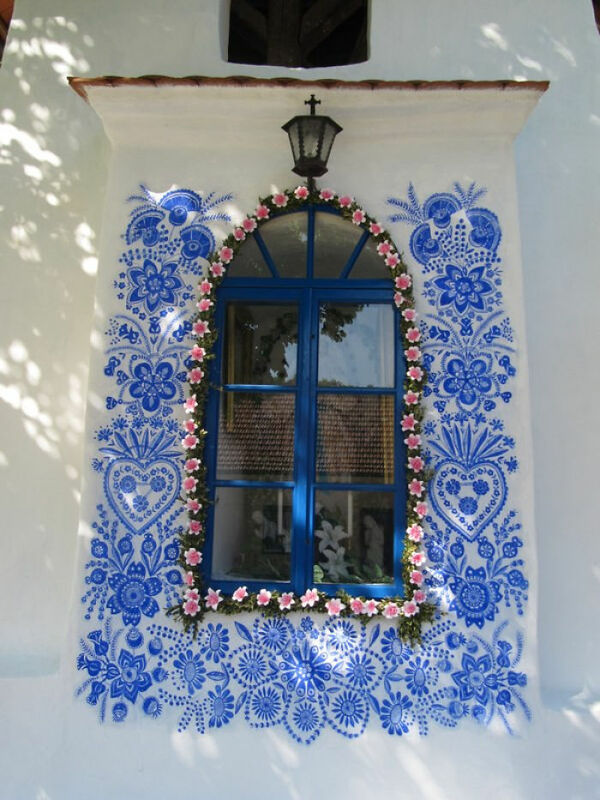 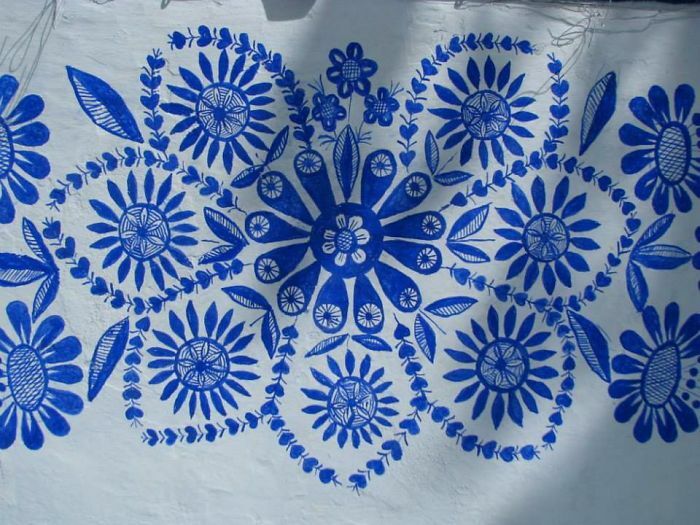 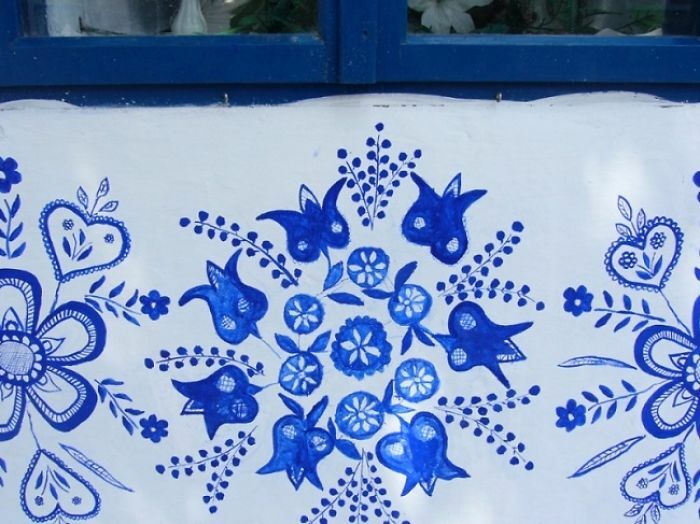 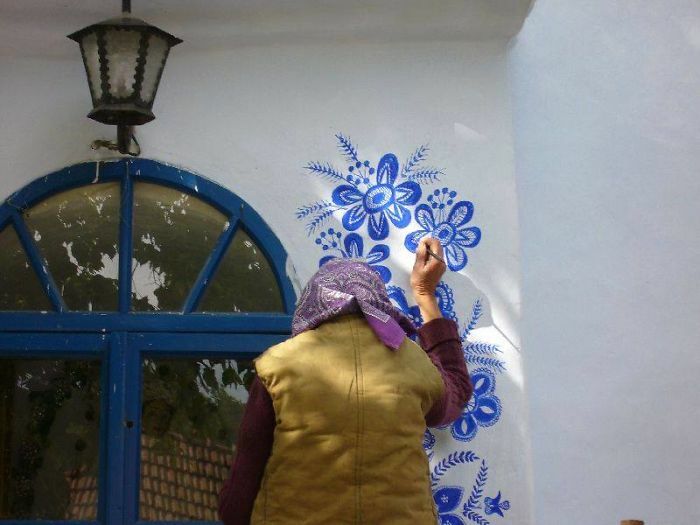 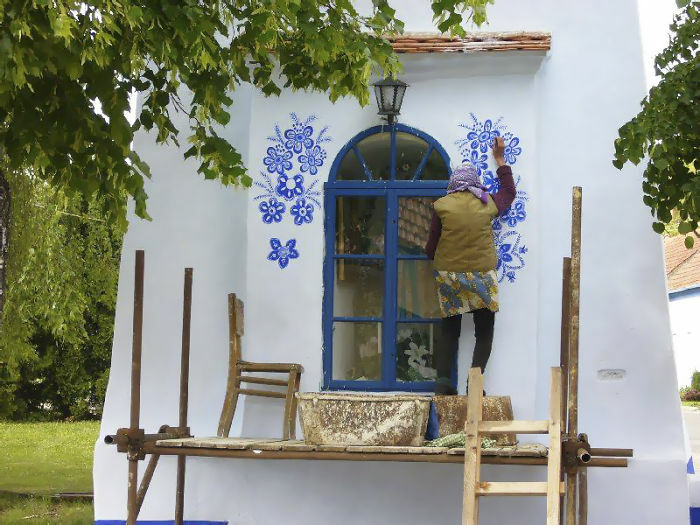 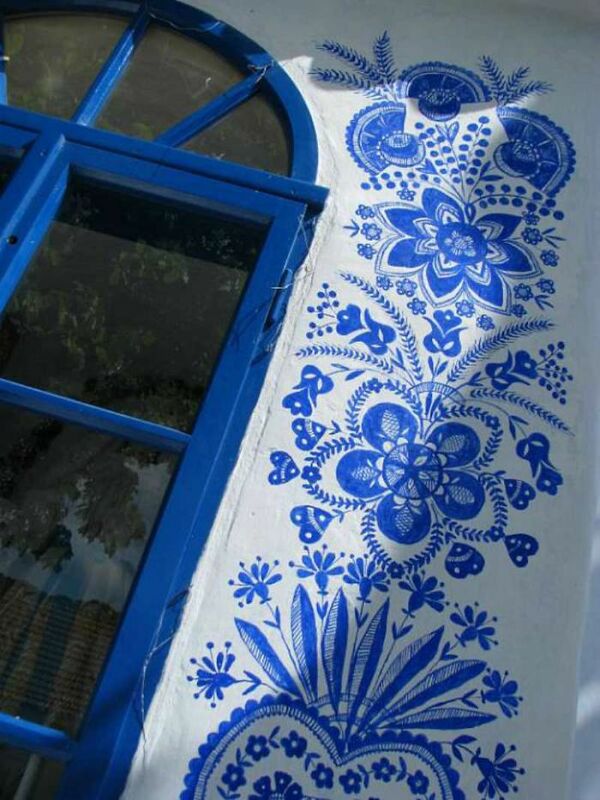 Maybe you’ve seen the little Polish village where every house has painted flowers on it? 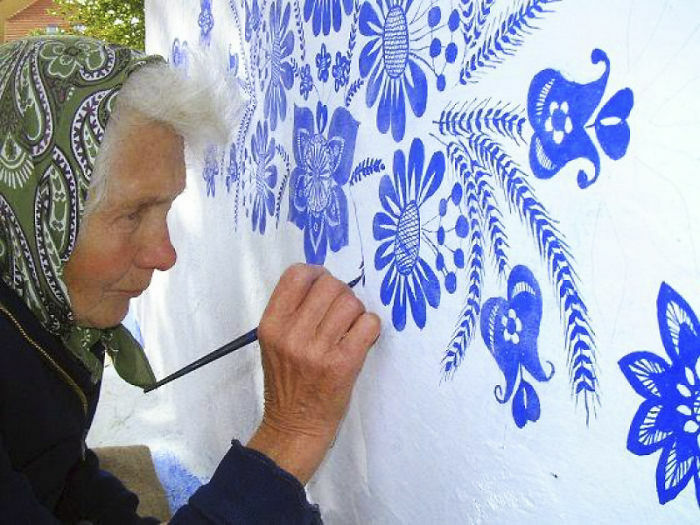 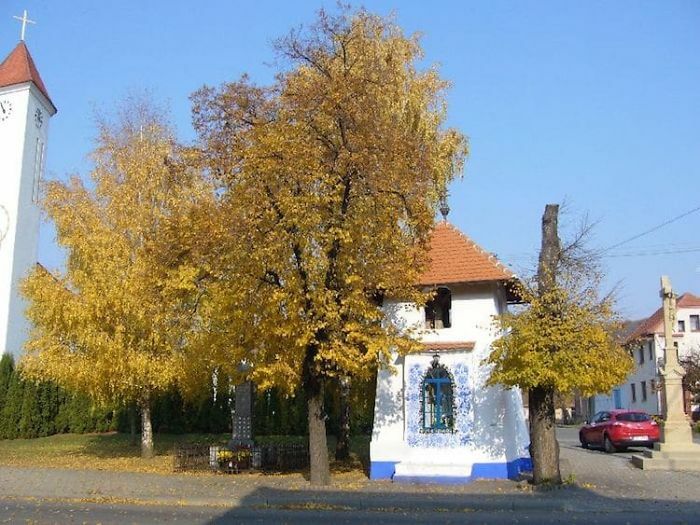 Well, one 90 year old grandma, resident of Louka, Czech Republic, is aiming to make her hometown just as charming. 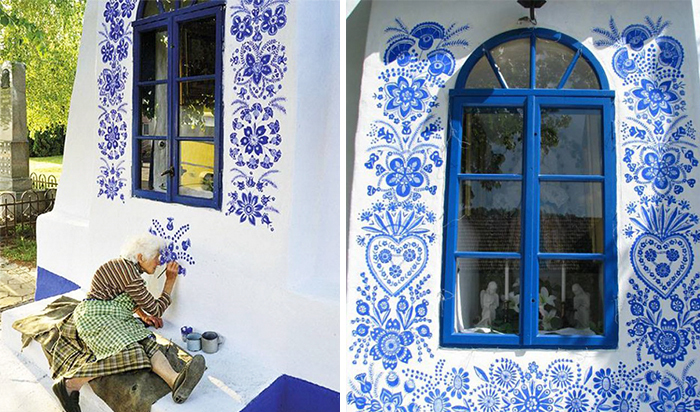 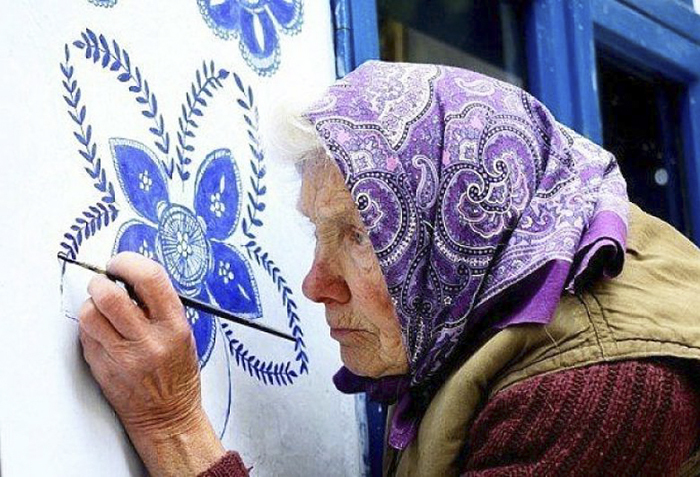 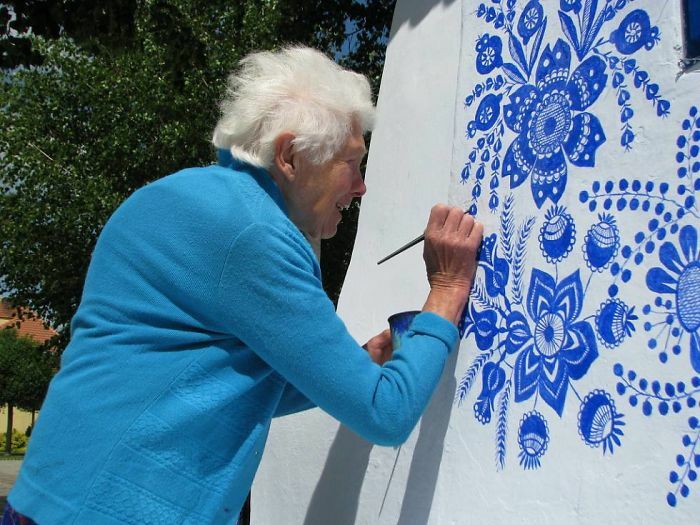 She spends every spring and summer adorning window and door frames with beautiful designs.